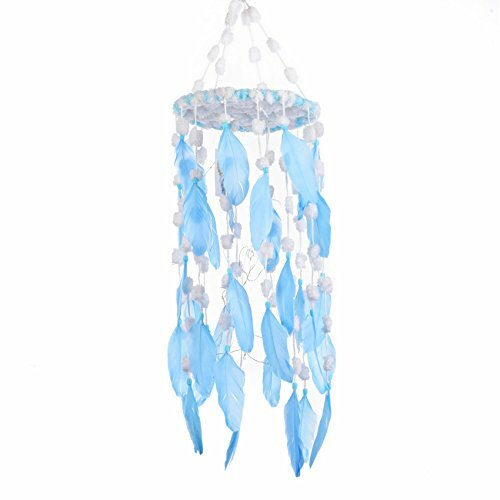 This blue feather dream catcher mobile is handmade by joy and love, each item come with 6-3/5 ft copper wire LED fairy lights Operated by 2 x CR2032 batteries For Free. The fairy lights is not assembled with dream catcher mobile, Use your imagination to made it more beautiful. Perfect hanging ornaments for Nursery, Baby Room, Kids Bedroom, Teepee, Wedding, Bridal Shower, Party etc.